The package comes with IBC Solar 310W monocrystalline panels delivered on two pallets and includes all the components you need to install your system. The RETROFIT 34.99 kWh battery package can be purchased as an individual item. 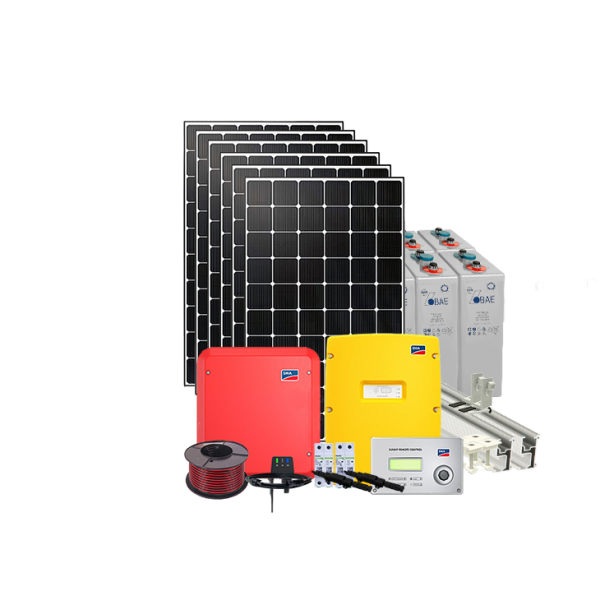 The Hybrid 5kW solar kit with battery storage w. SMA and IBC solar panels is an all-in-one solar kit and battery storage designed for an average household. This package was specially designed for customers with limited roof space and a need for 34.99kWh of back-up power. This grid tied 5kW DIY solar PV package is your perfect choice to maximise your electricity production and energy independence. 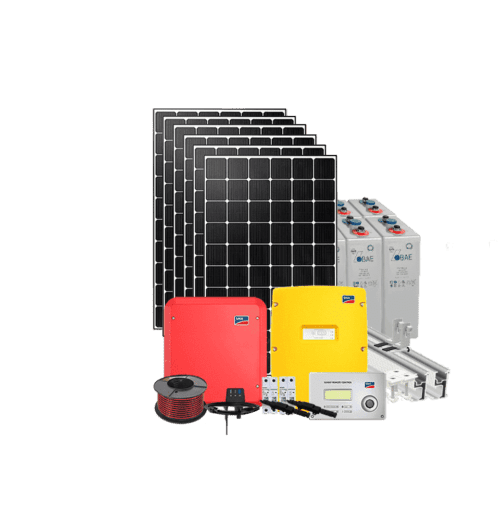 This grid tied DYI solar package come with SMA Sunny Boy which is not only easy to install, but also allows for quick DC and AC connections. The Jinko Solar or the IBC Solar pv panels will guaranty you a 25 years reliability and also a perfect look of your roof. SMA from its headquarters in Kassel, Germany, is the world’s largest producer of solar inverters and monitoring systems for photovoltaic applications. As market leader for solar inverters SMA is setting benchmarks again and again. The leading-edge efficiencies of 98% and new technology ensures maximum yields and the highest user convenience. While SMA inverters are designed in Germany, the Sunny Central, the Sunny Island, and SMA SunnyBoy inverters in the 3 kW to 7 kW range are assembled in their new plant in Denver, Colorado.These inverters qualify for the ARRA recovery act and are UL and cUL listed. SMA launched its own SMA solar academy in Rocklin, California, in April 2011. Their Solar Academy is equipped with the latest high-tech teaching tools and demonstration inverters to complement its comprehensive range of courses on photovoltaics and SMA products. Join our ZERO Home Bills Community. BEST Products from the BEST Brands at BEST Prices for ZERO Home Bills on ZEROhomebills.com by Solaranna. The package comes on two pallets and includes all the components you need to install your system.